Discussion in 'Spell Casters' started by Sorayarx, Apr 5, 2018. Has anyone used Lilly from Seductive Spells? I recently talked with Lilly in chat on her website, but something feels off about her… She has mixed reviews and she suggested I get a 3rd Degree spell casting done to bring my husband back. My husband left me and our family and wants a divorce. He is having an affair with a woman who he used to work with. I confronted this woman twice. She claimed it was nothing but a friendship but now they are together. My husband cannot explain where his feelings came from but claims he is madly in love with her. I have tried many spell casters, but seen no results. When I explained my situation to Lilly, she was very quick to recommend a spell. She didn’t ask any questions to get more clarity on my situation. I felt she was trying to push me into purchasing a spell without providing me the reasons why she believe the recommended spell would work. Lilly also said that if I hired her, she along with 37 other spell casters will be casting my spell… does that sound right? I had a bad experience with a previous spell caster so I am trying to make sure I am making the right decision before hiring her. I have not used seductive spells or heard of the website. However, I would definitely do research before you go ahead with the spell casting. Before you do so, definitely reach out to Ashra because Ashra Koehn may be able to help you and she has a proven track record of success which I don't think Lilly has. I haven't seen her site seductivespells.com. However, if Lilly was a great spell caster, why would she need the help of the 37 other spell casters? In that statement she told you is questionable for me. One is enough to handle one case if the person you hire is experienced in spell casting. I know sometimes with so many clients, they can't afford to handle it. But the question is, WHY ASHRA CAN DO IT WITHOUT THE HELP OF OTHERS. I'm happy that you are sharing with us your experience with Lily. Thank you! Atleast now we are aware of her. Honestly, I was not looking for other spell caster after I met Ashra. @Sorayarx I'm sorry you are going through this. He will see sense. I've never heard of this spell caster. Like someone said why do you need the help of 37 other people? Mine left us too so I know how you feel. Hugs. Hello. I have never heard of suductivespells.com, but since so many new spell casting scam websites are popping up, I decided to see what it's all about. From what I have learned, there is a possible connection with extremespells.com, which may be part of the elaborate scam under freemagick.com - Big red flag!! I read on to see that they claim to have a team of 40 expert spell casters who work one on one with their clients. Oh really?? I then read that they are skilled in Santeria, New Orleans Hoodoo Rootwork, Voodoo, Shamanis, and other forms of dark magic. But wait... there's more... it says they practice white magic, too. Never ever trust a site that does both!!! All in all, this website isn't very trustworthy, especially if there's a possible connection to freemagick.com. stay away from them!! Hey, I think you should use Ashra instead of Lilly from Seductive Spells. She has a lot of experience in love spell casting, and she have great reviews on her love spell casting. I'm not sure about Lilly, never heard of her, and to me it seems like you're having doubt about Lilly, always use your gut instinct. Oh, yeah! 37 spell casters?? That's weird! I guess you should just ask Ashra for help, I haven't heard of Lily or her website and yeah like others here said if she was real and her spells were actually powerful she wouldn't need the help of 37 other people. Maybe she was trying to tell you that using more people for the spell might make it have a way more stronger effect, I'm not sure. I suggest you ask Ashra and she will suerly help you out, she genuinely cares about us!! Good luck, hope everything goes well with you! I have not heard of seductive spells at all I have just been reading about it here today. And everyone is right, if she was such a good spell caster then why would she need other people to help her cast a spell? Does not sound right to me, definitely sounds like another fake and someone out to try and scam people. Another thing is they practice dark magic which is something to definitely avoid, it can be very dangerous doing this type of magic if your not experienced things can go horribly wrong. If someone was so experienced, why would they need 37 spellcasters? That would have been the biggest sign for me to walk away. If you need so much help as far as 37 spellcasters, why be one? That’s definitely a no no. That’s definitely the highlight of the scam. Stick to Ashra! She knows what she is doing! Hi, @Towania Parker - yeah, 37 spell casters is weird, and the fact that they said they are skilled is another strange thing. Look at Ashra; she is only one spellcaster and has helped thousands upon thousands of people worldwide, so why does someone need that many spell casters to work on a situation?? Doesn't add up. Oh, and I am going to use your last name as a sign!! My lover's last name is the same as yours!!! Thanks!!!! NO, do not purchase anything from Seductive Spells. I will never contact them again for any reason. I paid for a spell with Lilly. Never had any thing good come from it. As a matter of fact everything got worst for me after that spell. I know they had a lot to do with the bad luck I had. I hope they are run off the web soon. STAY AWAY FROM THAT SITE! 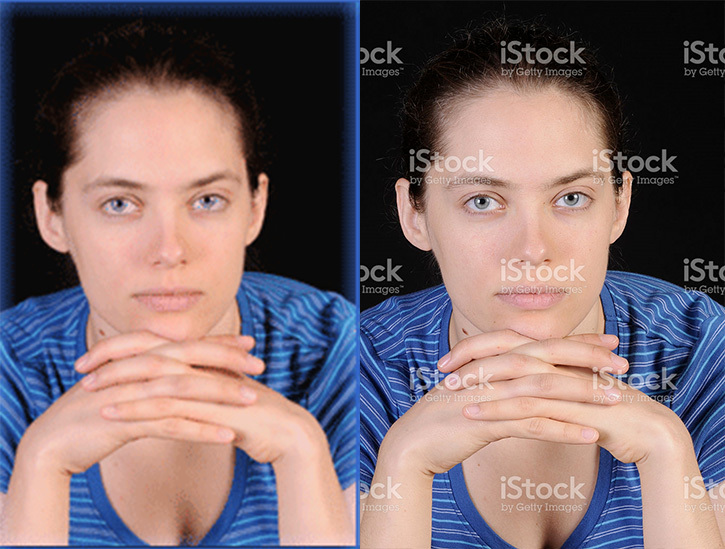 Is Lilly's photo real, or is she just a stock image like the other spell caster someone mentioned? Lilly looks young in her photo and not someone who you would see as processing magical ability. I would assume that since this is a scammer, her picture is fake, too. What scam artist do you know that will put up their real photos? Not a single one that I know of. A scammer is either gonna not have any photos of them, or they stole an image from some other source. @SierraB123 - That's awesome!! yeah, I would most definitely choose Ashra. And to be honest this will be my very first time using her service, and I'm confidence that she will do wonders for me. TBH, 37 casters is a lot, when you only need just one person to do a spell. I hope @Sorayarx makes the right decision. @Amazinglove87 - I agree with you. I never heard of this website before, I'm sure all the reviews and pictures are fake. 100% scam! Hey everyone, So I came across a Lady called Lilly? She claims to be a good spell caster but has really and reviews! I have read many comments about this lady and how she cons people out of money. I do truly believe this lady is a fake! She does not seem real what so ever! Her picture even seems like it is fake! She claims to be able to get a lover back with no problems what so ever and fast results. I also noticed some of her website looks similar to Ashra's in a way! I believe this lady just used Ashra's site as a guideline to help her get business! I don't believe this lady is real! She goes by a website called seductivespells.com. I don't believe this lady will help anyone that is trying to use her as their caster! She sounds like a complete con! I also saw from a few people on this forum that Lilly had said that she would cast a spell with many other casters as well that is a BIG red flag right there! I believe if a caster is going to cast a spell that she needs to be the only one that does it! Lilly doesn't even have prices listed for the spells which is also a sign that she is not real! She should have a price list so that people know how much she charges! When I first went to the website I had a funny feeling about her website that it was a place to stay far away from! I don't believe she will even get peoples lovers back! Ashra is the only one to be trusted and is the only one that is real. Lilly will do nothing but take your money and run! One thing I love about Ashra is that she doesn't force you to purchase a spell and does not tell you that you need to get it right now or you will lose your lover! No problem is too complicated for Ashra! Ashra is a true caster that will get each and every one of our lovers back! Those that have wanted to go to other casters before using Ashra you are making a HUGE mistake because Ashra is the ONLY one that will get your lover back! I don't believe any other caster will get your lover back. Ashra works hard and keeps you updated at all times. I am so thankful to have found Ashra! She is great! ME: I'm trying to reach you. Are you there? Lilly: How may I help? ME: I'm looking for a spell caster to help bring back my husband. What is the best spell to use? Lilly: let me paste a bit of info for you about the binding love spell. Pricing starts at 99.95 and goes up from there. Higher degrees are much stronger but also more expensive. However, the results are always more spectacular with a higher degree. ME: hmm. are you a robot? or a person.... what is 3+2? Lilly: 5 -- I am lilly -- my pic is on the front page. ME: How many years experience do you have? She claims to be the person in the photo, but now we know she is not. At least Lilly knows her basic math skills. Seductive spells is the biggest rip off on the web. I had terrible things happen to me after I paid Lilly for my spell. I wish I could prove that they had something to do with most of the bad luck I had after trying them out. Stay away from that site and far away from Lilly as you can. I have noticed all of these people get there images off of shutter shock! These people are clearly not thinking this whole thing through to come across convincing it is sad how far people would go to earn money and scam people. Another thing that certainly don't ring right is the fact there are 37 other spell casters to help cast each spell?! This says a lot , and the age of 10...Really?